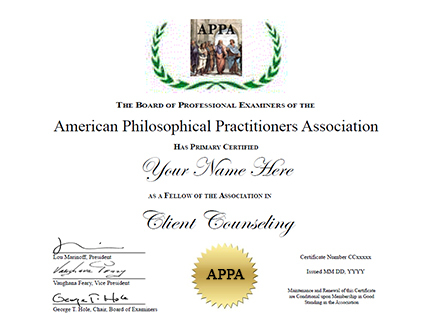 This three-day program confers a Certificate in Client Counseling. 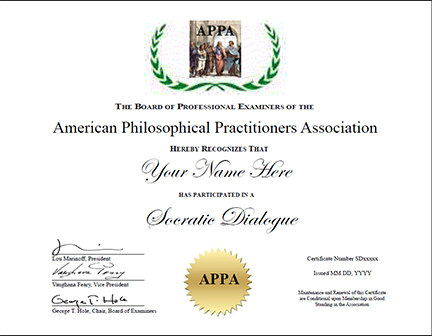 It provides participants with the tools to build a philosophical counseling practice. 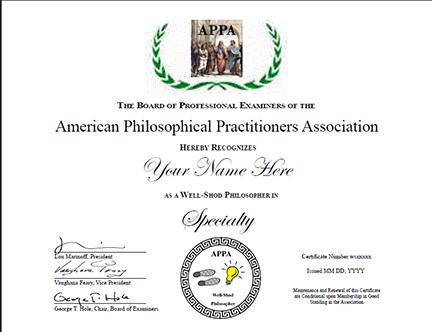 Open to Adjunct and Affiliate members, This option reserves a place for Adjuncts and requires advance payment of program fee (at 10% discount).